On August 9, 1974 Gerald R. Ford assumed the reins of the presidency following the resignation of Richard Nixon. Suddenly, Steve Ford was thrust into the role of "First Son." Steve's unique perspective on life as the President's son encompasses a broad range of subjects: being 18 years old and having 10 Secret Service agents....his father's pardon of President Nixon....two assassination attempts on his father's life plus inspirational stories how the family dealt with their mother's bouts with alcoholism and also how Steve conquered his own alcoholism. Steve's focus is on such issues as character, integrity, overcoming adversity and leadership while helping the audience rethink their own role in those areas. He will give a behind the scenes view of the White House and the insider anecdotes. Steve spent 25 years as an accomplished actor and appeared in over 25 major motion pictures such as the hit Transformers, Blackhawk Down, Contact, Armageddon and playing Meg Ryan's boyfriend in When Harry Met Sally. He has served as Chairman of the President Gerald R. Ford Foundation and currently serves as a trustee on that board. History shows that those who have sought service over self-interest in times of indecision, turmoil and crisis areregarded as true leaders. On August 9, 1974, Vice President Gerald R. Ford became the 38th President of the United States when President Richard Nixon resignedhis office in disgrace because of the Watergate scandal. Today, most historians and political observers agree that President Ford's difficult (and, at the time controversial) decision to pardon Nixon was the right thing to do and was in the country's best interest. His leadership with character helped heal a nation and restored confidence in the office of the President of the United States. 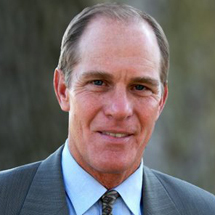 President Ford's son, Steve, talks about what it takes to be a good leader and some of the traits of leadership. He talks about his life in the White House as the son of a president and the lessons he learned from that experience. He shares the messages of courage and confidence he learned from his mother and the leadership he saw in his father. "Steve Ford is a dynamic and personable speaker. He uses humor where appropriate and has a great message about his life as the son of President Gerald Ford and Betty. His integrity shines and the care for our nation shows through. Our event had 300 people and everyone was engaged while he was speaking." "Steve Ford was an outstanding speaker! He made us laugh, and several of us shed a few tears as well. Our audience was absolutely mesmerized by him and they're not always easy to please. He was open, relaxed and thoroughly engaging. He exceeded all expectations. Thank you so much!" "Steve Ford was a wonderful speaker. Attendees connected with his message and came up to talk with him later about his topic, to thank him for his message and to have photos taken with him... I was very happy with his talk and so were our attendees based upon the evaluations and comments we received. We would have Steve back again." "Steve Ford is very personable. His presentation was superb! We couldn’t have written his script any better. We have had nothing but favorable comments and everyone enjoyed meeting and talking with him! My grade for his performance would be an A+." "Steve's session was captivating and applicable to any audience."